This entry was posted on May 17, 2017 by nigel borrington. 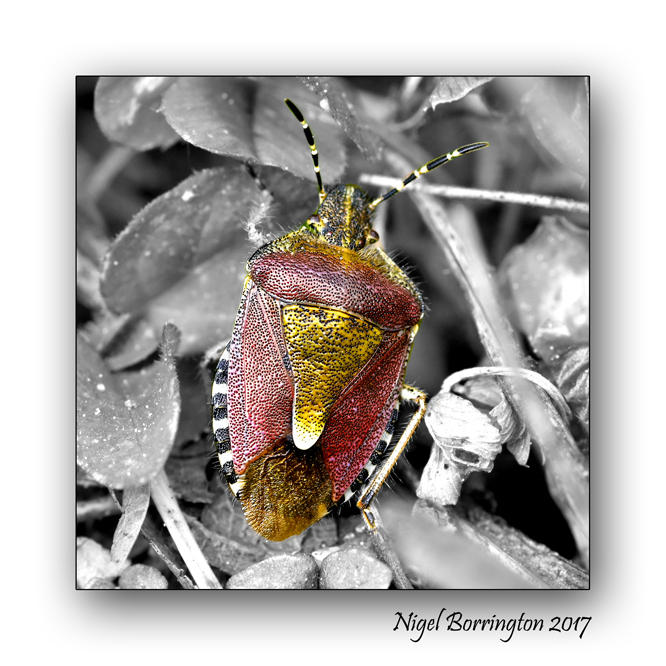 It was filed under Gallery, irish woodlands, macro photography, Nature, Nature and Wildlife and was tagged with Dolycoris baccarum Sloe Bug, Hairy Shieldbug, Irish insects, Kilkenny, macro photography, Nature, Nigel Borrington, Pentatomidae, Wednesday. 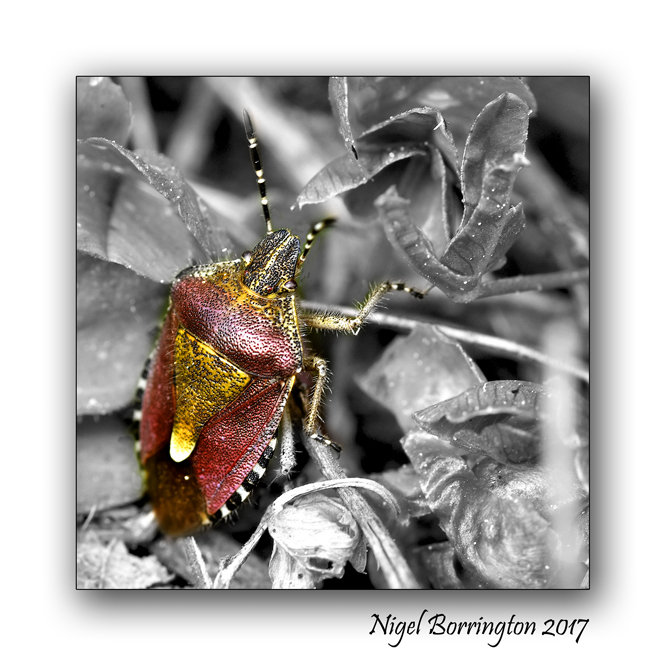 Fun to see the shieldbug only in color, Nigel, it really highlights his beauty.